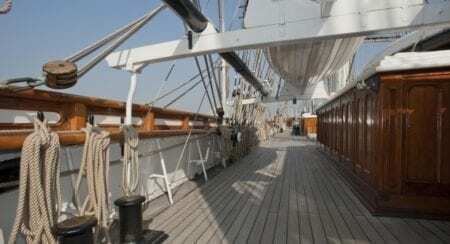 One of the world’s most famous ships, the Cutty Sark is the last surviving Tea Clipper. Permanently moored at Greenwich this majestic boat is available to hire for evening events. The Weather Deck is perfect for summer parties and outdoor entertaining. Where better to sit and sip champagne and watch the sun go down? 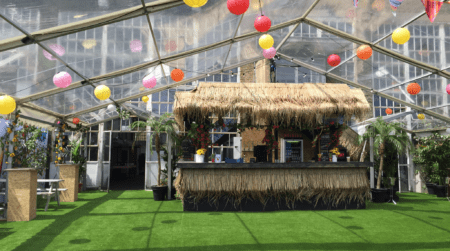 Sitting in trendy Brick Lane, you will find one of the best and most unusual summer party venues in London! Fabulous cocktails, scrummy BBQs, inside and outside space, photo booth, funfair stalls, table football, table tennis, DJ. All-in packages mean that you know exactly what you are getting and what it is going to cost you, so no nasty surprises at the end of the night. At 900 years old, these are reputedly the longest continually cultivated gardens in England. 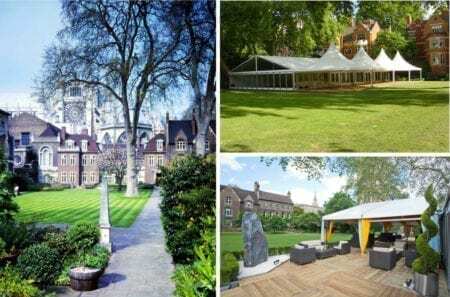 In June and July they erect a magnificent marquee with a capacity of 1000 standing or 240 for a dinner, so this is the perfect solution for a large summer event and most certainly an unusual summer party venue. Of course, this is not solely for summer parties, so worth considering as an unusual conference venue too. It is also possible to hire the garden and erect your own marquee outside of these two months, by special request. Why not hold your summer party at the most famous cricket ground in the world? The Pavilion Roof Terrace offers fabulous views and has a capacity of 250 standing. 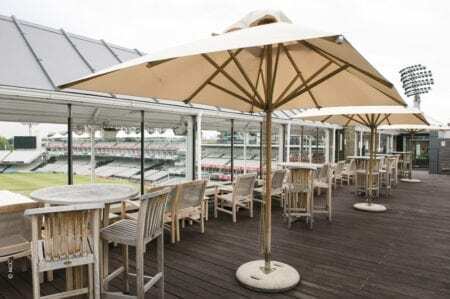 The Mount Stand Terrace is larger with a capacity of 350, whilst the delightful Harris Garden which is laid out on the former site of a lawn tennis court near the entrance to the Pavilion, is perfect for smaller parties in conjunction with the Pavilion. Don’t be deterred by the name. For a smaller party, this roof terrace is perfect. Chill out with a cocktail on this two tier terrace, which has it’s own bar and a great range of cigars in the humidor. A little oasis in central London! If you’d like any more information on these venues or another of our suggested summer party venues in London, please fill in the contact form or call us on 020 7186 8686.